Twin Six's Men's Masterstroke Jersey 2018 features unique, all-over sublimated graphics. The dye sublimation process allows print graphics to take hold beneath the fabric's surface so its texture is unchanged. 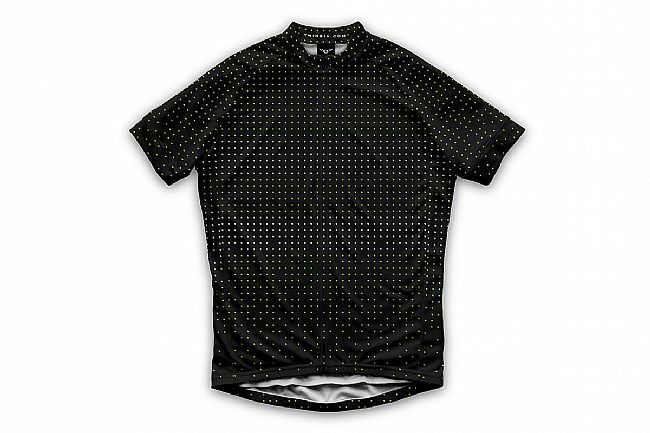 The Masterstroke Jersey 2018 is made of moisture-wicking, quick-drying polyester microfiber fabric that's soft to the touch. The full-length hidden zipper allows for adaptive venting. Three deep back pockets offer ample storage for nutrition, a wallet, your phone, and more. Slightly longer short sleeve design.